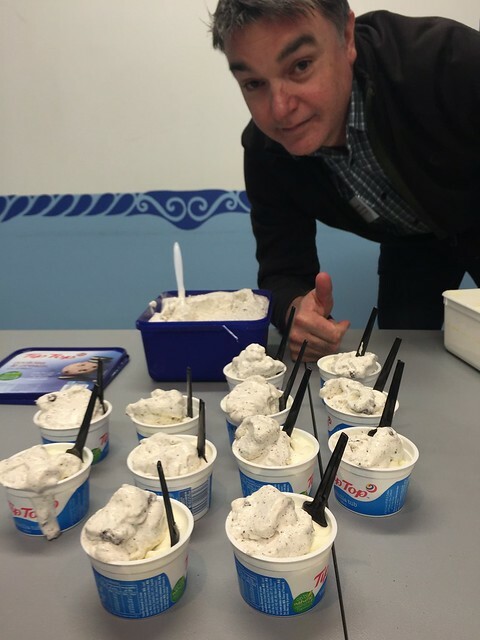 Thought with some distance, it was the right time to wrap up two years at Fonterra. Previously: Leaving Telecom / Dawdling to the pavilion. My two years at Fonterra was a real game of two halves. The first year was when the milk price was down, the farmers were hurting and getting things out the door was tough going. In co-operatives, you’re extremely close to your shareholders / owners. You could feel the presence of Our Farmer Owners in every email and meeting room. There were plenty on Twitter letting us know what they thought and often asking where the value for them is in pretty much any aspect of Fonterra’s daily operations. But it was cool, generally. Farmers are fair, and have tremendously dry humour. I felt I had to come up to speed on dairy farming quickly to have some kind of credibility, and was delighted when I started recognising stuff like calving, dried off cows and milking runs when driving through the country side. The second year, the milk price was up, and we started Telling Our Story. That meant a heavy rotation TV campaign that was labelled 80s style in the NBR, and the most intense Facebook advertising I’d ever been part of. Frankly, a fair portion of the country didn’t want to know. Our farmers loved it and the questions on how much we were spending on advertising largely dried up, despite all the news-hour and All Blacks match advertising. With such a large footprint, it’s fair to say Fonterra was an issue-rich environment, and the community management could be pretty challenging. Lewis Road (who take Fonterra milk BTW), supplier terms, these ads that ran over the Christmas holidays, the situation in Australia… and that’s before water pollution became a big election issue. That was tough, and I spent many, many hours on my phone deep in Facebook discussion threads trying to explain, apologise and reach some understanding. Despite the good intent, people were keener on action and results rather than key messages. That one will be a challenge for a while. 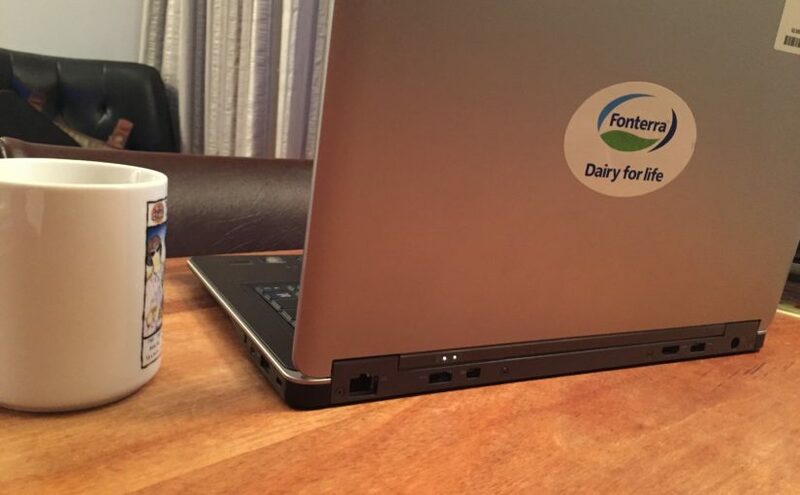 Fonterra is chock full of some of the most dedicated and smart people you’ll find anywhere. Farmers should rest assured there’s some serious midnight oil going in on their behalf, with great passion for taking the milk from one of the best places in the world to produce it, get the best out of it, sell the crap out of it around the world and get the best returns for the farmers. If we can get the environmental side of it right, NZ is going to win when Fonterra wins. 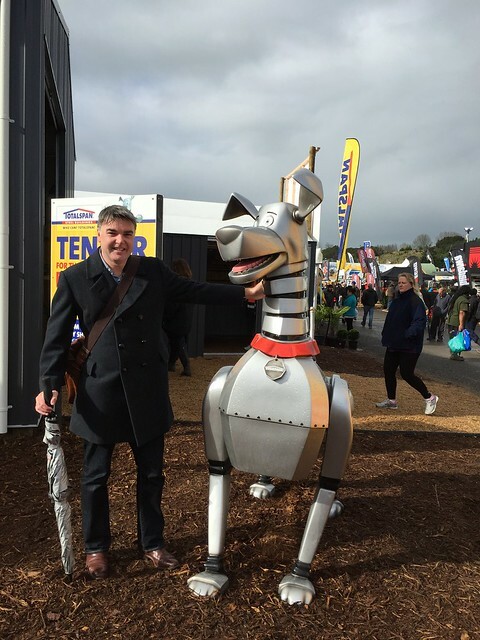 Meeting this NZ icon at Fieldays was big for me. For me, I hope I helped get them in the game a bit more online and help the organisation be more comfortable with getting in tough conversations online. They were a bit of a soft target up until then, and it was time to do the basics right, like listen, respond and be a bit human. We also re-launched fonterra.com, going from a site with over 10k pages to an experience that’s a bit more user-friendly. The co-op has extremely ambitious plans to make digital a key facet of our biggest primary industry in some fashion, and there’s some really smart people setting about it. I wish them the very best. Stand by for action! We are about to launch Stingray!